Nuadas Sword | BUDK.com - Knives & Swords At The Lowest Prices! 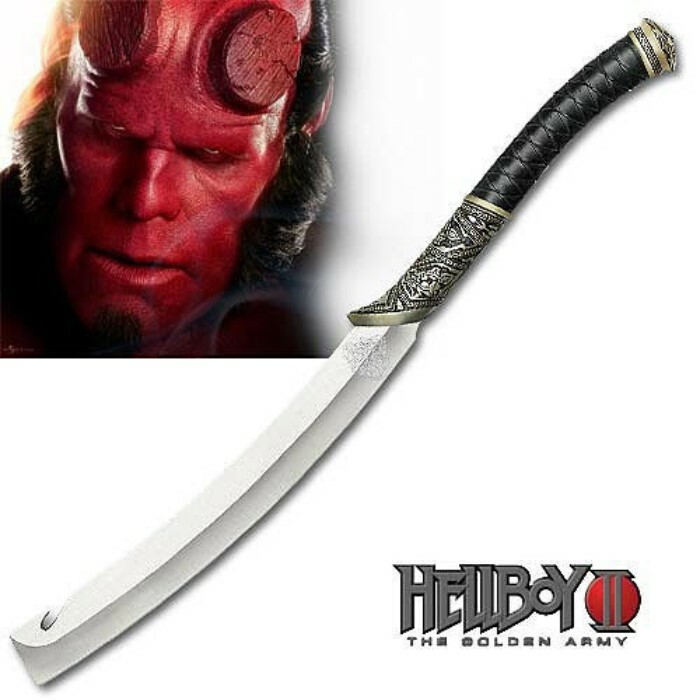 Officially licensed replica of the prop weapon used in the hit movie Hellboy II: The Golden Army. This is the sword of Prince Nuada, seen throughout the movie and used by Hellboy in the climatic battle with the Prince. This limited edition item features a mirror finished stainless steel blade and matching dagger, and accurately duplicates the detail of the original movie props. This collectible item is strictly limited to 5,000 pieces worldwide. The blade is individually serialized, and this item includes a black wood collector's plaque with the matching serialized number edition and a certificate of authenticity.